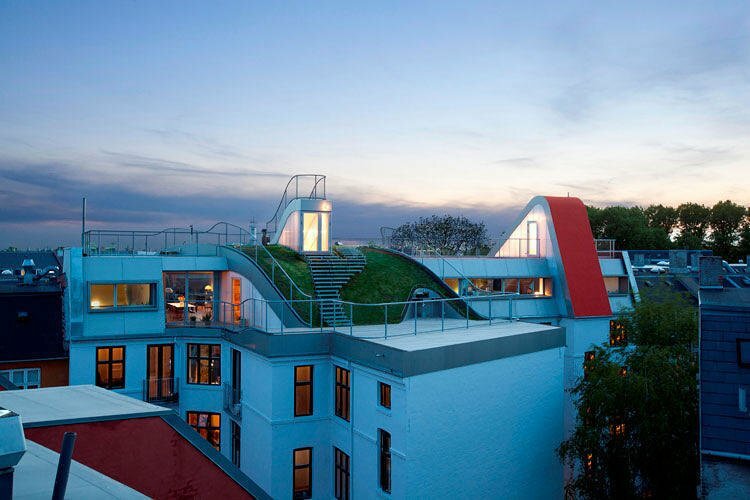 Danish architect group Julien de Smedt added a playful touch on this apartment rooftop playground in Nørrebro, Copenhagen. Flowing pavements roll within the gated space to maximize space for kicking ball, strolling, or simply soaking in the sun. This swirly rooftop breaks up the rigidity of the surrounding housing complex and invites residents to smile and unwind.